Highly efficient multi-purpose, self-priming pump. Ideal for supply to pond/swimming pool filters and water features. Large, debris intercepting strainer basket with unique ‘Cam & Ramp’ easy lock/unlock. 2” BSP female inlet and outlet for minimum friction/turbulent losses. Maximum flow rate of 22,000 litres per hour. Maximum discharge head of 21 metres. Optimum efficiency with minimum maintenance requirements. Specially engineered for quiet operation. In 2013 ITT Lowara decided to discontinue manufacturing their Argonaut self priming, swimming pool pumps. After extensive research we have decided to offer the Sta-Rite range of self priming swimming pool pumps as our recommended, cost effective alternative. The Sta-Rite is a multi-purpose pump for dry installation above or below water level. This pump is ideal for supply to pond and swimming pool filtration systems, streams and water features. 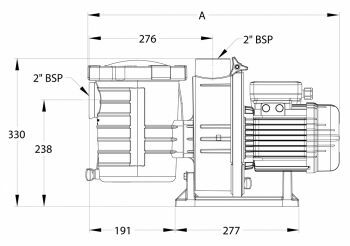 These pumps achieve great performance efficiency for comparably low running costs due to the design of the pump, engineered in Germany with minimum restriction and maximum performance in mind. The Sta-Rite is capable of self-priming, which allows this pump to draw suction from the pool of pond from an installation point above water level, ideal for filtration and water feature applications that will not allow for a submerged pump installation. 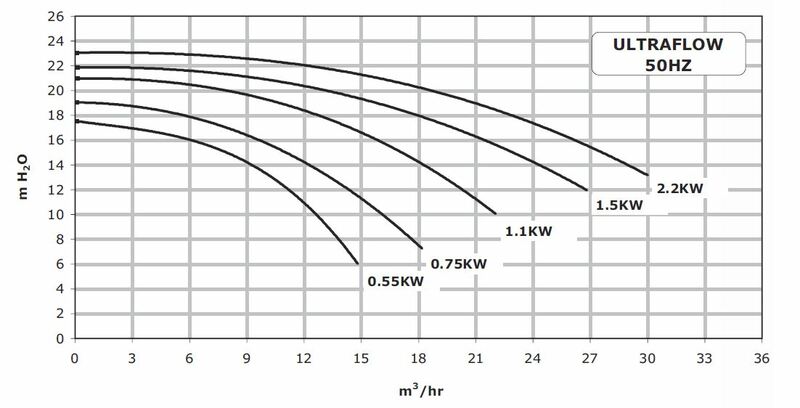 The Sta-Rite range consists of 5 pump models ranging from 0.55KW to 2.2KW in power and these are capable of flow rates up to 30,000 litres per hour, with maximum vertical lift up to 23 metres. All Sta-Rite pump models feature a large strainer basket pre-filter which intercepts solid debris. This basket features a unique ‘Cam & Ramp’ locking mechanism which allows for easy removal and replacement with a simple quarter turn. This large strainer ensures consistent reliability and service with minimal maintenance requirements and extended cleaning intervals due to large volume basket. 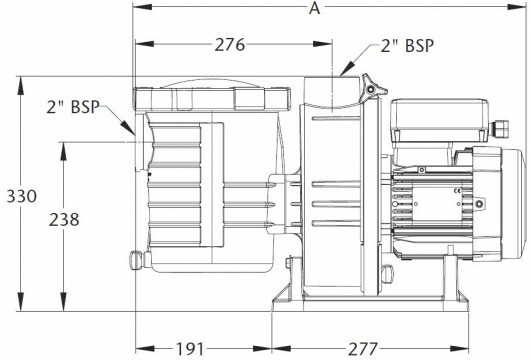 These pumps all feature 2” inlet and outlet ports which minimise friction and turbulent losses. This combined with a proprietary hydraulic design, perfected in over 40 years of refinement, ensures fast priming and maximum performance from the pump. Minimal turbulence also means minimal noise; Sta-Rite pumps are renowned for their quiet operation. 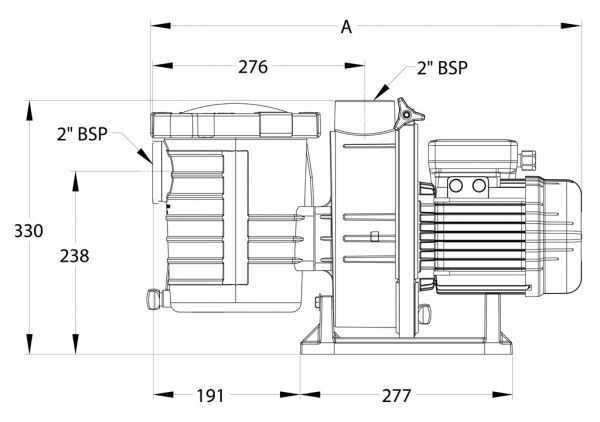 The pump motor is connected to the pump body via a stainless steel band clamp which allows for quick and easy disconnection of the power end from the pump body if required. All Sta-Rite pumps are guaranteed for 3 years.